In the 2014 American movie, “5 Flights Up,” Morgan Freeman and Diane Keaton play an elderly couple who think about selling their two-bedroom Brooklyn apartment. Since they have lived in the unit all their married life, the decision is a difficult one, and the premise of the plot hinges on the reason for their putting it on the market, which turns out to be a simple one: They live on the top floor of a five-story building with no elevator. As with public toilets and convenience stores, we only really notice elevators when we need one and they aren’t there. This becomes a concern for an aging urbanized society like Japan, since many of the residential collective housing structures built before the 1990s didn’t have any. 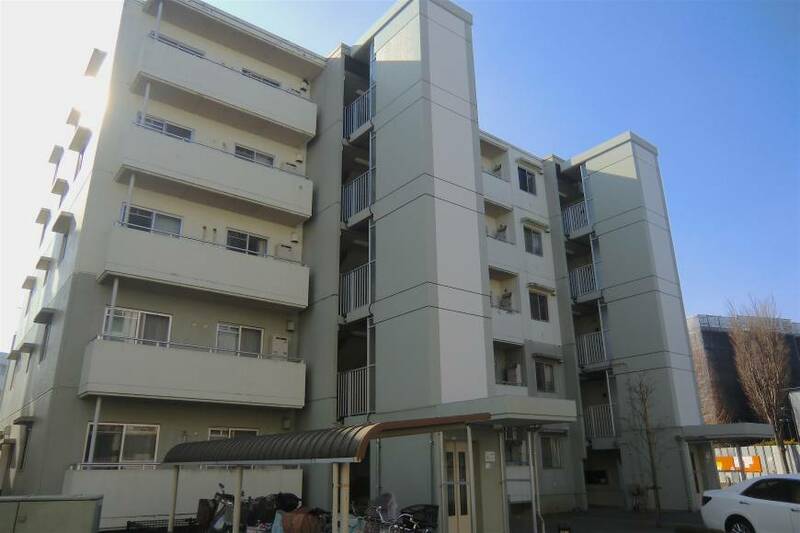 The standard design for most public housing, whether it be for low-income families or for the general public through the Japan Housing Corporation (which turned into the semi-private corporation UR in 2004), allowed for up to five stories with no elevators, whether they be rentals or for sale. Most of the families who bought units in such buildings did so when they were relatively young, and if they still live there they have gotten on in their years and are probably unable to use the stairs as readily as they used to. So, like the abovementioned fictional couple, they may have to move. Unlike the fictional couple, however, they probably aren’t going to get a million dollars (¥118 million) for their flat, so moving may not be as much of an option. Several years ago when we considered buying a kodan (former public housing unit), the lack of elevators didn’t worry us so much, but apparently it did for the majority of people who had the same idea. In the general housing market units on higher floors tend to be more expensive. According to the realtors we talked to, however, in most of the kodan, as well as some private condominiums, that we inspected, it was the bottom floor units that were more popular. The reason for this had less to do with cheaper prices than with the lack of elevators, since more older people were moving out of their single-family homes and buying condos after their children had left the nest. And from what we understand, the demand for first-floor units is increasing. Some local governments, in fact, have endeavored to refit a number of their low-income rental public housing with elevators, but the cost is prohibitive. By the same token, owners associations of older condominiums that want to add elevators to their buildings will discover that the construction costs are beyond their means. Also, even if they did install elevators the subsequent maintenance costs would more than double their monthly management fees. We called UR and were told that they have added elevators to about 350 older rental properties nationwide. 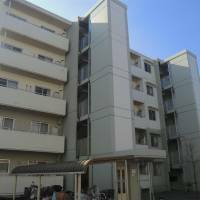 We visited one such five-story building in a large UR complex near where we live. Elevator shafts had been erected in front of each stairwell, with a bridge extending from the shaft to each floor. We asked a maintenance person if there were plans to attach these outside elevators, called ato-tsuke, to any other buildings in the complex and he said there weren’t. He added that this particular building was reserved for older tenants, but there are a lot of vacancies in the complex so UR isn’t sure if it would be cost effective to add any more elevators. We also found that even in buildings that already have elevators, older tenants and condo owners prefer being on the ground floor, and not just because of their physical condition. We tend to take the utility of elevators so much for granted that we fail to realize how unnatural and even inconvenient they can be until we use them on a regular basis. When you look for a new apartment either for rent or to buy in Japan, one of the top priorities is proximity to the nearest train or bus station, which is measured in minutes on foot. Realtors gauge this time from the front door of a building to the wicket of the station, but they don’t take into consideration the vertical part of the journey. Depending on the floor and the time of day, elevator rides can add between one and 10 minutes to a morning commute, which, over time, can be an aggravation. As much as we may not want to admit it, much of this annoyance has to do with social interaction. Elevator cars are limited spaces that force people to stand very close to one another, thus creating stress that only increases the longer one has to remain in that situation. A feature in the Yomiuri Shimbun several years ago analyzed circumstances in high-rise condominiums, and found that elevators were one of the main causes of inter-tenant friction. People on higher floors tend to manifest a sense of privilege because they paid more for their units, and that feeling exacerbates the annoyance they experience when taking the elevator, especially when it makes many stops on its way down. Some building management companies even post rules of behavior in an attempt to alleviate the stress: Always greet others when you enter the car, don’t call more than one elevator at the same time, use the stairs if you live on the 2nd or even 3rd floor. Of course, none of these directives are mandatory and, as we discovered when we lived in a high-rise UR building, very few people follow them. We once heard from a newspaper delivery person that many people even cancel their subscriptions after moving into high-rises with auto-lock security, because it’s too much trouble taking the elevator in the morning to retrieve their newspapers from their mailboxes. The standard for high-rises now is about one elevator per 80 to 100 units, though housing experts think the ideal situation would be one for every 40 to 50 units, which would obviously add to the cost of both the individual units and monthly maintenance. Newer buildings also have “smart” elevators that move more efficiently. But the rule of thumb is that the bigger the condo, the more inconvenient the elevators are likely to be. Certainly the main inconvenience of elevators is that they shut down when there’s an earthquake. Because only licensed maintenance personnel can turn the elevators back on again and most of these workers have to service multiple buildings, often a building has to wait some time before the elevators are turned back on. That means residents on upper floors are stranded if they are too old or infirm to use the stairs. Some of the newer tower condos in Tokyo are trying to hire full-time elevator maintenance people, but in any case it’s another reason why more people are now looking for units on lower floors. In addition to all this, monthly management fees for people on lower floors tend to be cheaper because they aren’t expected to use the elevators as much.